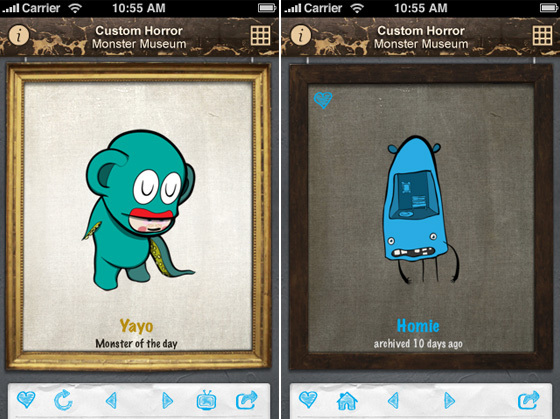 Monster Museum in your pocket! 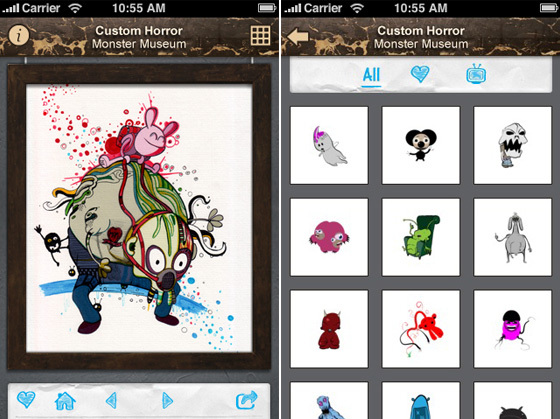 CUSTOM HORROR delivers hundreds of monsters straight to your iPhone/iPod touch and lets you share them with co-workers, friends and family. A new monster is added to the virtual museum every day so make sure you don’t miss out on all the new monsters! More than 300 monsters with new ones being added EVERY DAY! In addition you can watch screen-casts of how some of the monsters have been created. All the mosters are FREE for personal use! Visit Custom Horror website to download the daily monster as EPS file.